Matthew and Dean are joined by Daniel James Barker from the Uncertainty Principle Podcast. Daniel brings his physics expertise along with his perspective on the book (which Matt and Dean DID NOT read), and lends some unique perspective to this week’s episode. Although a trained physicist, Daniel isn’t much of a network tech. He experienced some internet issues along the way, but like Mark Watney, he never gave up. 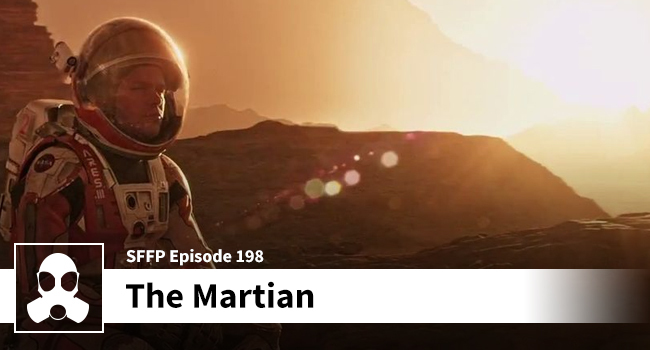 Join Matthew, Dean, and Daniel as they discuss the finer points of “The Martian” — like how this film is a sequel to “Good Will Hunting.” Enjoy!